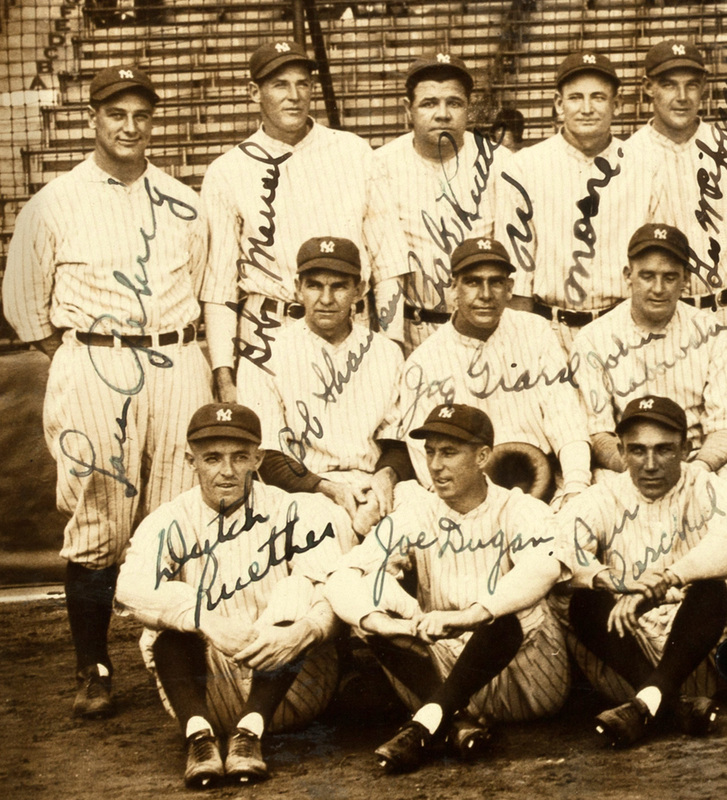 The 1927 New York Yankees are widely recognized as the greatest team in baseball history. 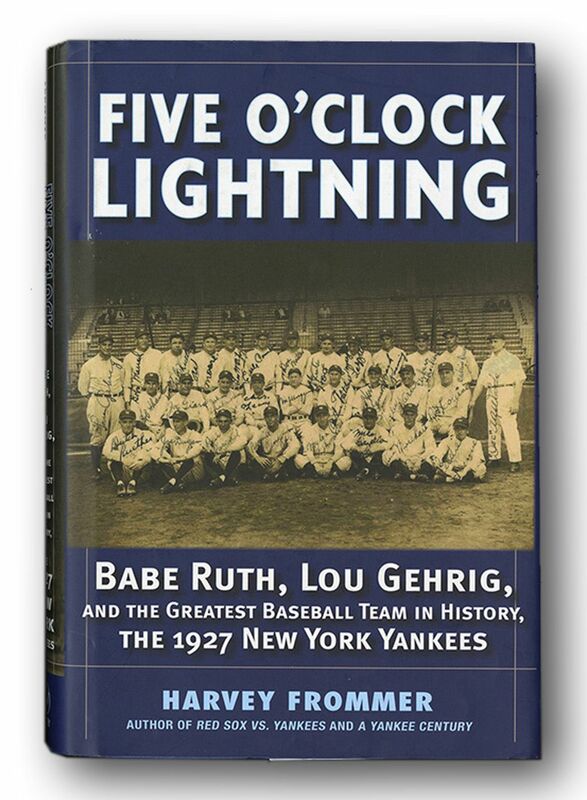 Many teams have dominated their respective leagues over the course of baseball history, but few have been able to totally demoralize their competition like the Yankees did in 1927. Their lineup, appropriately dubbed “Murderer’s Row,” featured five .300 hitters. Among their ranks were the league leaders in virtually every offensive category. As a team, the Bronx Bombers totaled over 100 more home runs than any other team and posted league highs with a .307 batting average and an amazing .489 slugging percentage. 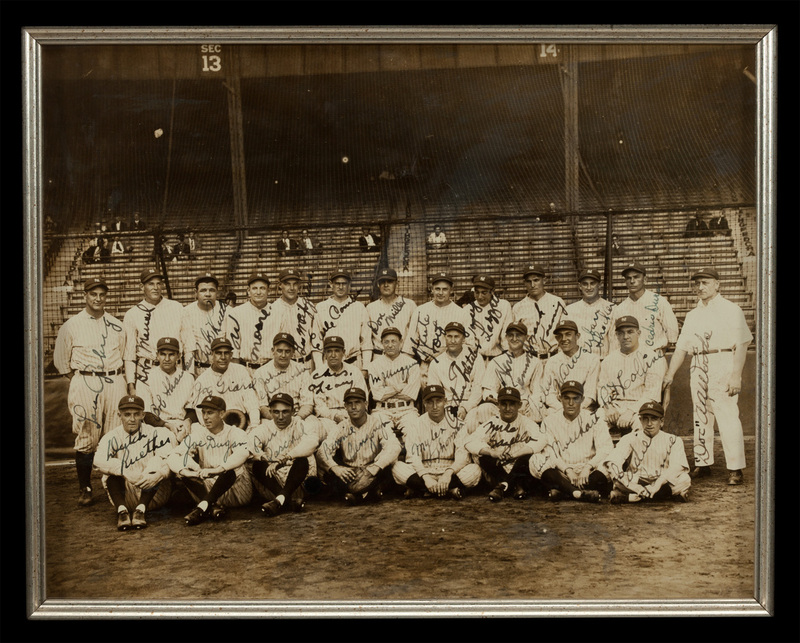 Their sweep of the Pittsburgh Pirates in the 1927 World Series represented the culmination of the most prolific season played by any team before or since in the annals of our National Pastime. Babe Ruth’s own record setting single season home run total of 60 was greater than that of any American League team. The Sultan of Swat had plenty of offensive support. Lou Gehrig’s gaudy offensive numbers included a .373 batting average, 47 home runs and a league leading 175 RBI’s. Ruth’s outfield mates, Earle Combs and Bob Meusel, hit .356 and .337 respectively, while second year man Tony Lazzeri ranked third in the loop with 18 home runs. The equally imposing pitching staff boasted four men who won 18 or more games and the top 3 leaders in ERA league wide. With a 110-44 record, the Bronx Bombers ran away with the American League pennant, winning by 19 games. The World Series match-up against Pittsburgh was already a foregone conclusion. 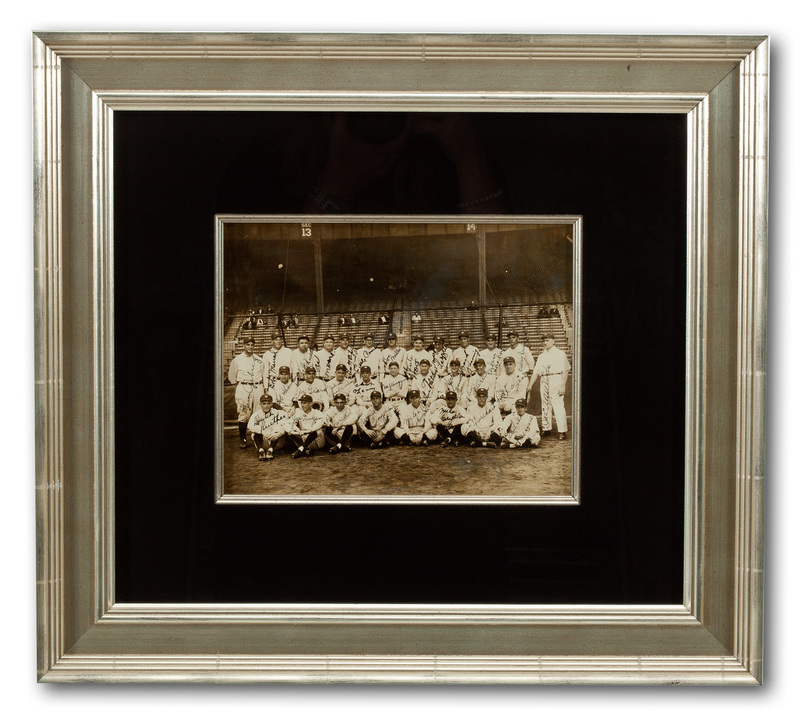 This team signed 10-by-8-inch first-generation sepia toned photograph is a stunning tribute to baseball’s most illustrious squad and that most gilded year, 1927. This incredible artifact of New York Yankee history original originates from the estate of one of the men it features, pitcher George Pipgras. 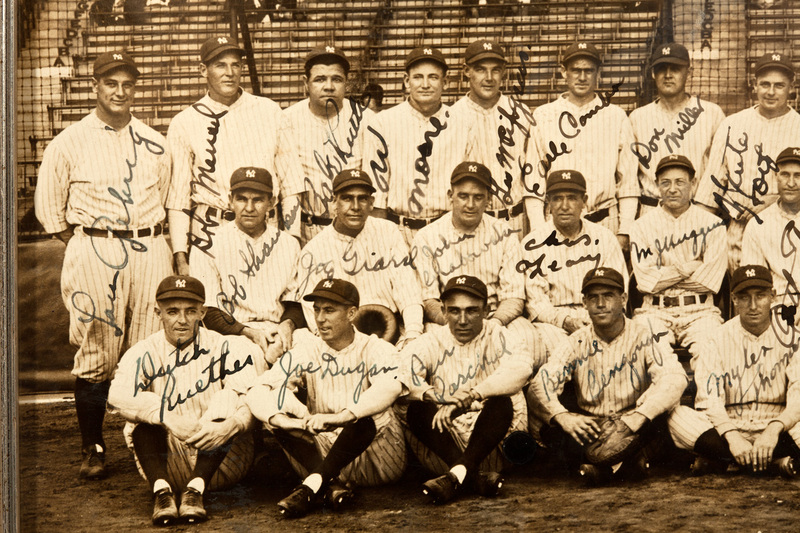 Unrivaled in both condition and completeness, blazing bold fountain pen autographs are rendered across the images of each and every one of the 30 persons pictured, broken down to 28 players, manager Miller Huggins and the team trainer. An extraordinary benediction of PSA/DNA 8 validates what the even the untrained eye can readily see. Each and every signature is perfectly legible and carefully rendered, and not a clubhouse version or otherwise assisted offering is among them. Wonderful signatures from Lou Gehrig and Babe Ruth headline, along with four other Hall of Famers: Huggins, Earle Combs, Tony Lazerri and Waite Hoyt. The photo is matted and framed to the highest possible standards with overall dimensions of 19-by-17 inches. 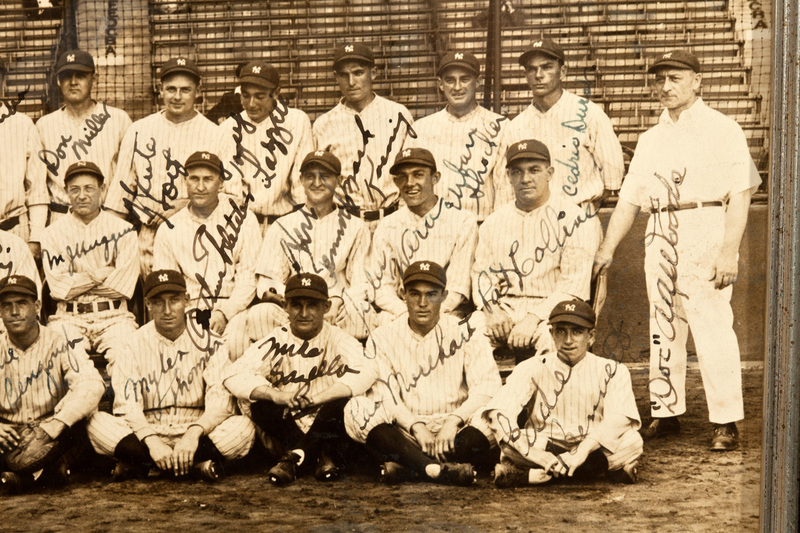 Universally regarded as the finest and most valuable autographed sports photo in the world, this extraordinary 1927 World Champion New York Yankees team signed photo is featured on the cover of Harvey Frommer’s 2007 book “Five O’Clock Lightning: Babe Ruth, Lou Gehrig and the Greatest Baseball Team in History, The 1927 New York Yankees.” When it was last sold to a private collector in 2006 for $350,000 it established a still standing price record for an autographed sports photo. To call this museumworthy would be an understatement of the highest order. It’s a truly magnificent artifact that could hold its own in Cooperstown, the Smithsonian or points in between. Comes with a Letter of Authenticity from PSA/DNA (Composite Auto. Grade: NM-MT 8). Additional LOA from the family of George Pipgras.